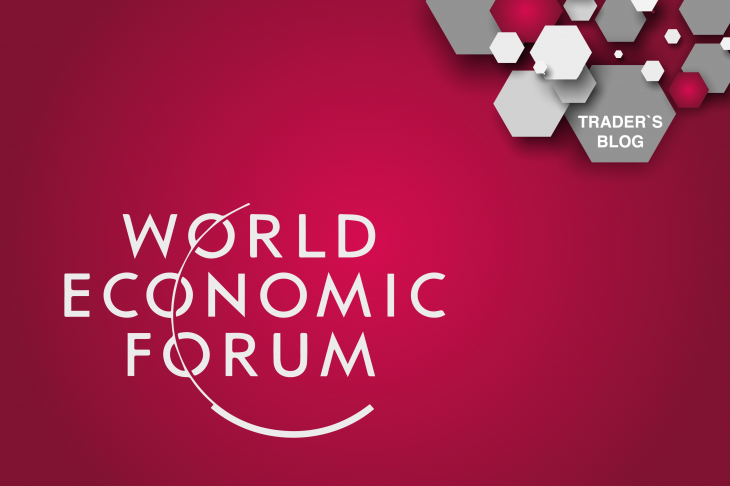 › Traders Blog › The World Forum: Davos 2019. Globalization is under threat! The World Forum: Davos 2019. Globalization is under threat! The World Economic Forum in Davos, Sweden opened with the absence of a number of key people. The US President D. Trump did not attend the forum due to the US government shutdown. As a result, the delegation did not arrive from the United States, indicating that the United States completely ignored this summit. Among the key guests, it is worth noting the absence of Chinese leader Xi Jinping, who canceled the trip due to the trade confrontation, British Prime Minister T. May, who remains under the political pressure and risks about Brexit without a deal, and French President E. Macron due to protests France. The main topics of Davos 2019 are: trade war and cyber attacks, which couldn’t be solved without the key participants in these problems: the United States and China. But even if the leaders of these countries were in Davos, it wouldn’t solve the problem clearly. Returning to global geopolitical risks, the Davos forum showed the persistence of political and geopolitical tensions between and within the key economies of the world. In fact, the concept of globalization of the world economy has reached its limit at this stage of development, and the current situation in the world indicates a recession in this matter. Before the Davos Forum, the International Monetary Fund (IMF) published forecasts on the growth rates of world economies. The forecasts passed the “red line” on world markets, summing up the results of the US-China trade confrontation and new the US trade relations with key partners. The IMF lowered the growth rate of the world economy in 2019 to 3.5%, and in 2020 to 3.6%, (a decrease of 0.1%). Also, GDP growth in Germany for 2019 significantly decreased to 1.3% (a decrease of 0.6%). The eurozone’s GDP growth rates for 2019 are lowered to 1.6% (a decrease of 0.3%). The IMF expectations about the GDP of the USA and China remained unchanged at 2.5% and 6.2%, respectively. The forum in Davos is a business summit first of all, and later is an international forum. Therefore, at this meeting, first of all, they are looking for new business partners. It’s not worth waiting from the Davos 2019 solution of all geopolitical problems. Since the existing problems are local in nature, they are solved individually and behind closed doors.